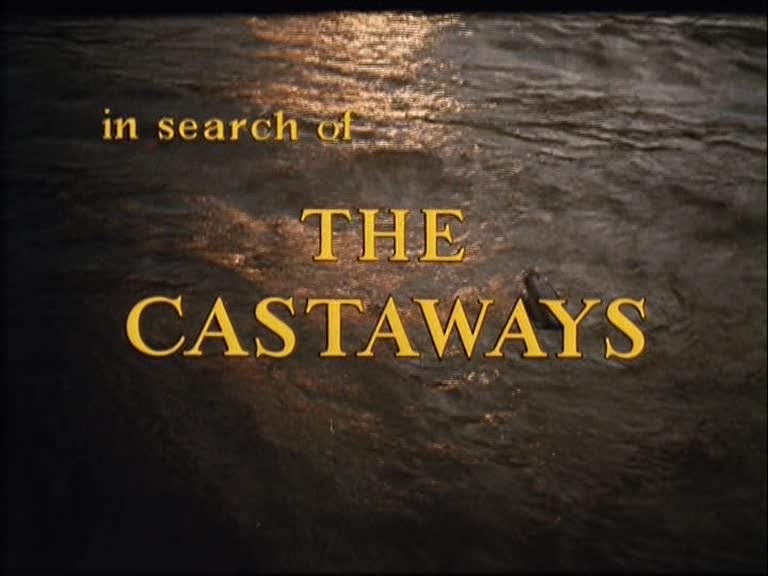 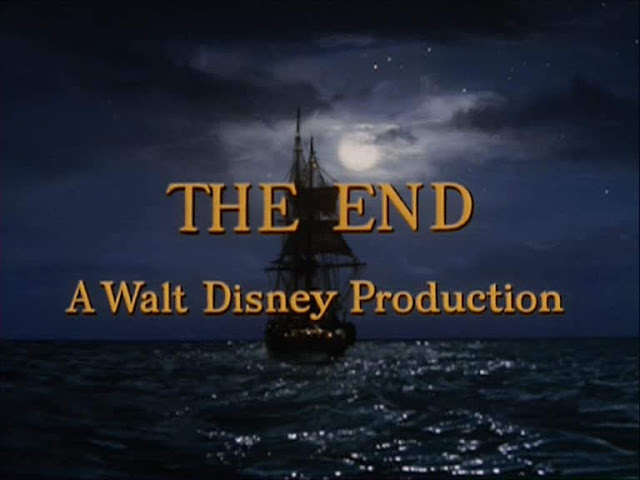 Another Disney family film from the early sixties, though not quite in the same league as Swiss family Robinson, as it tends to get very silly at times. 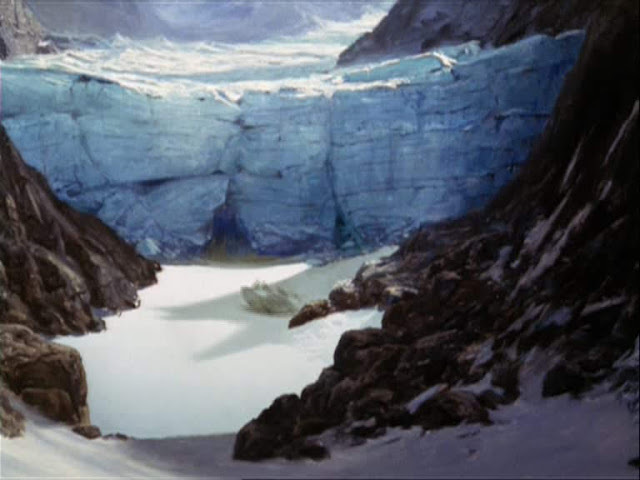 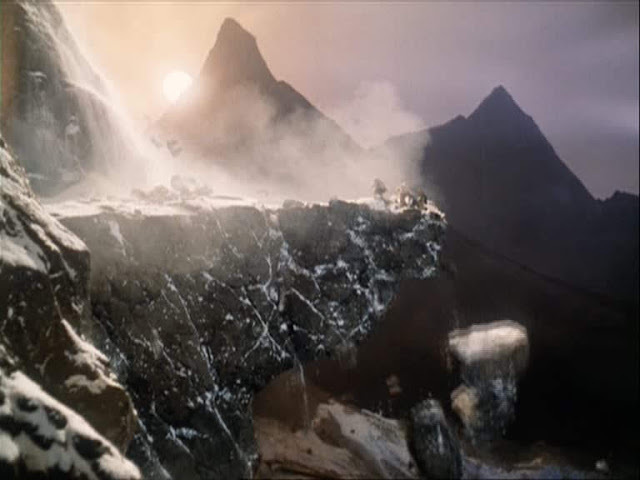 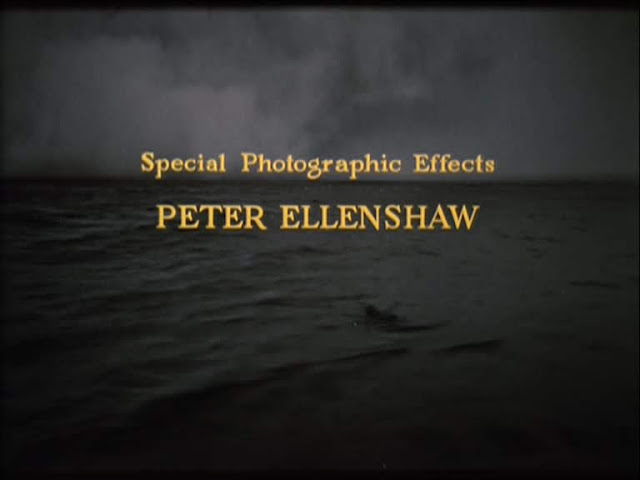 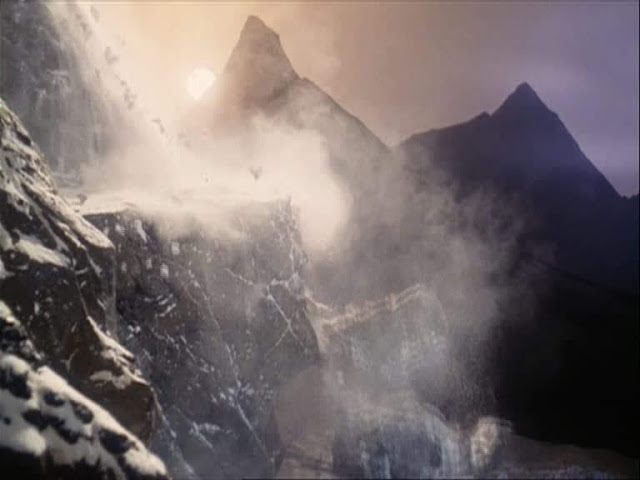 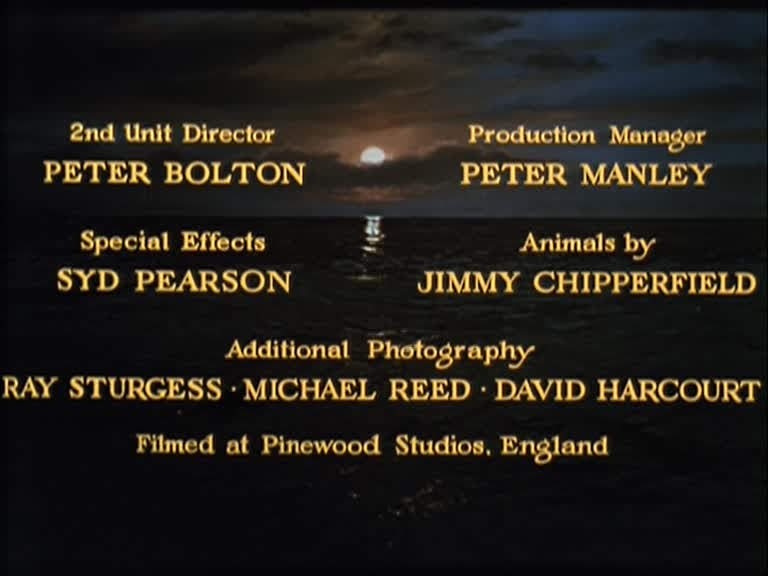 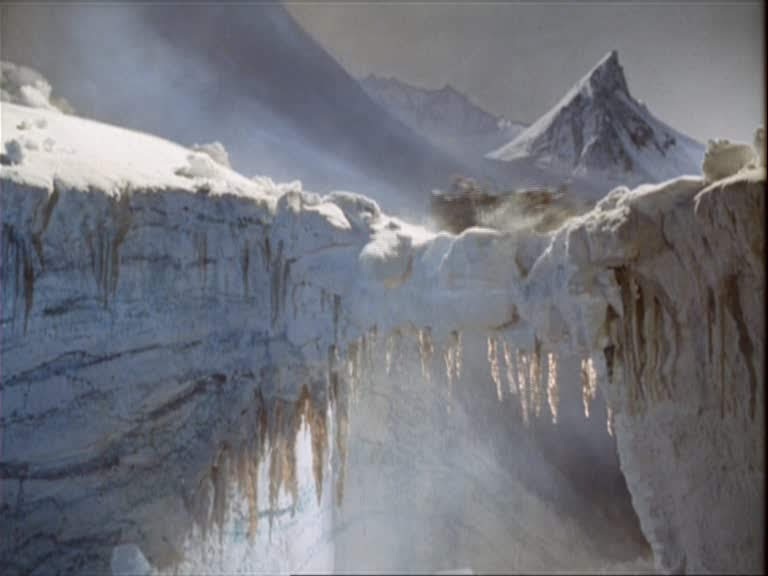 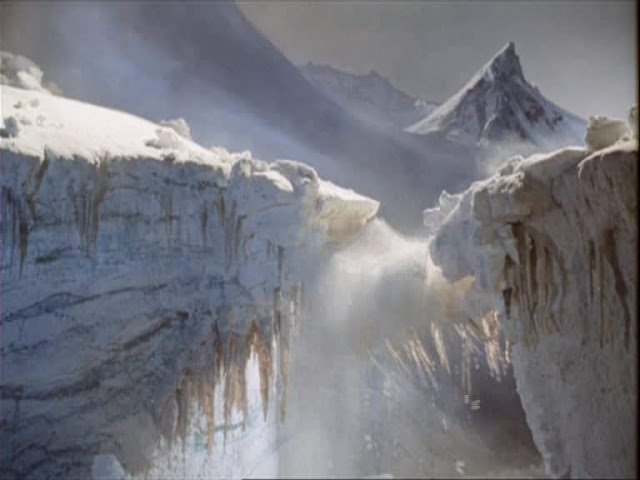 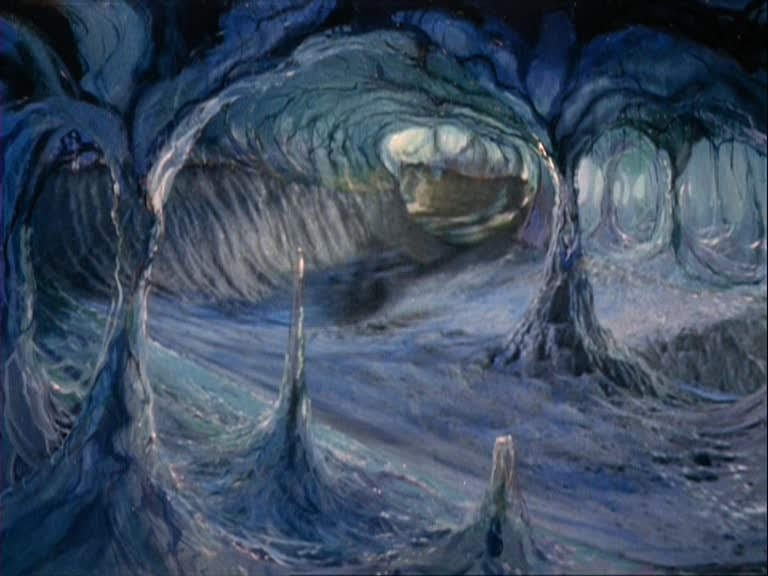 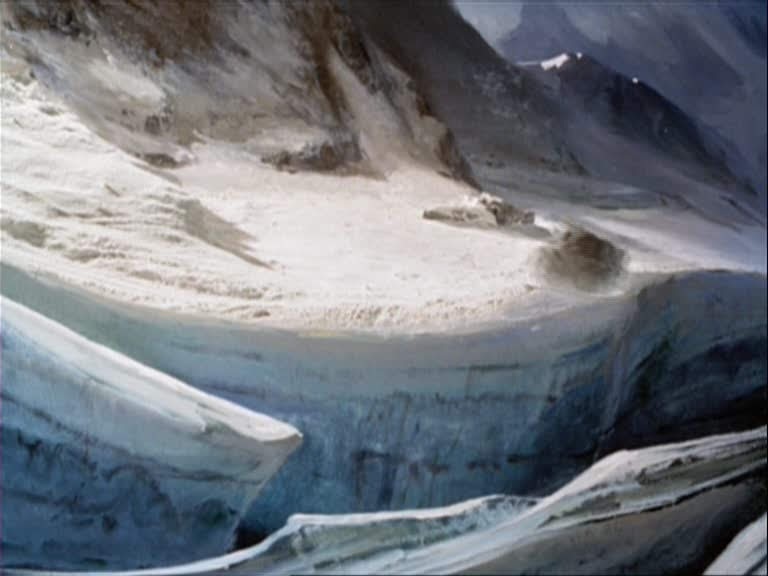 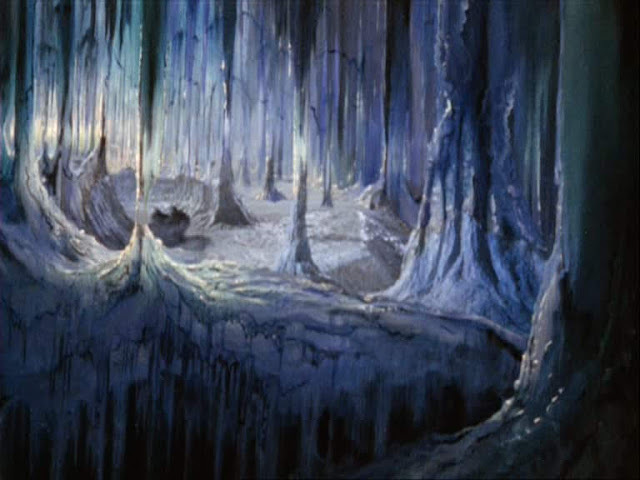 This time Peter Ellenshaw is credited for Special Photographic Effects and there are a lot of matte paintings in the film, many of which are combined with miniatures. 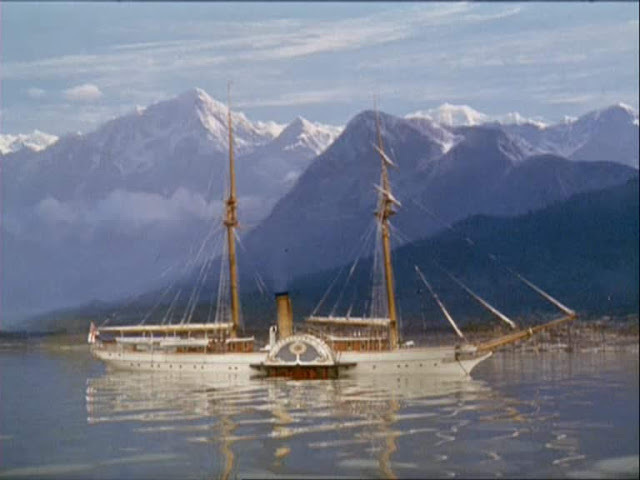 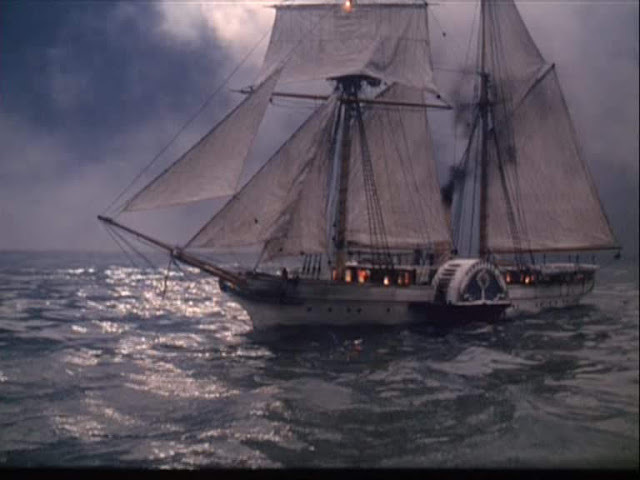 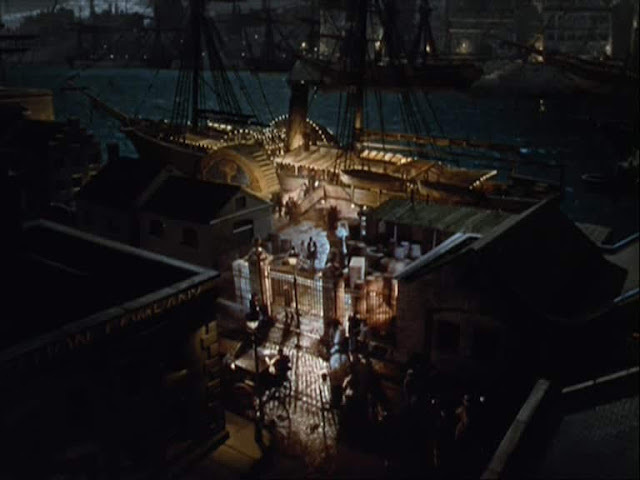 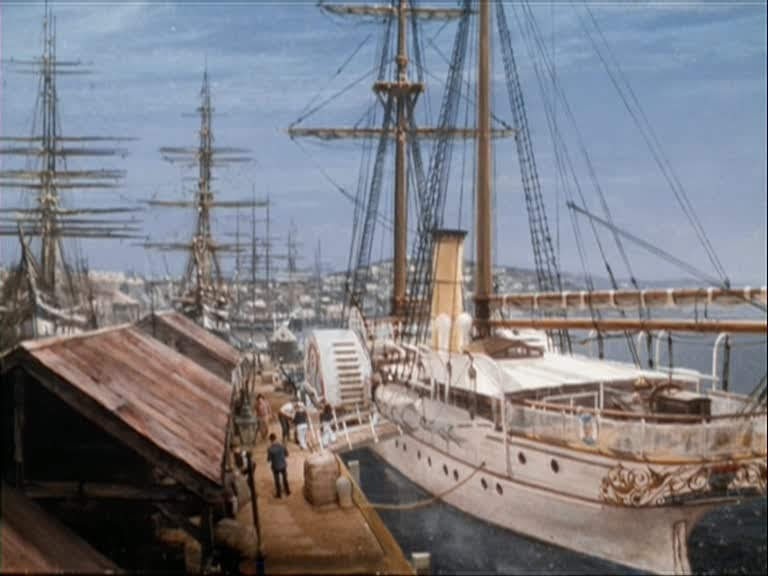 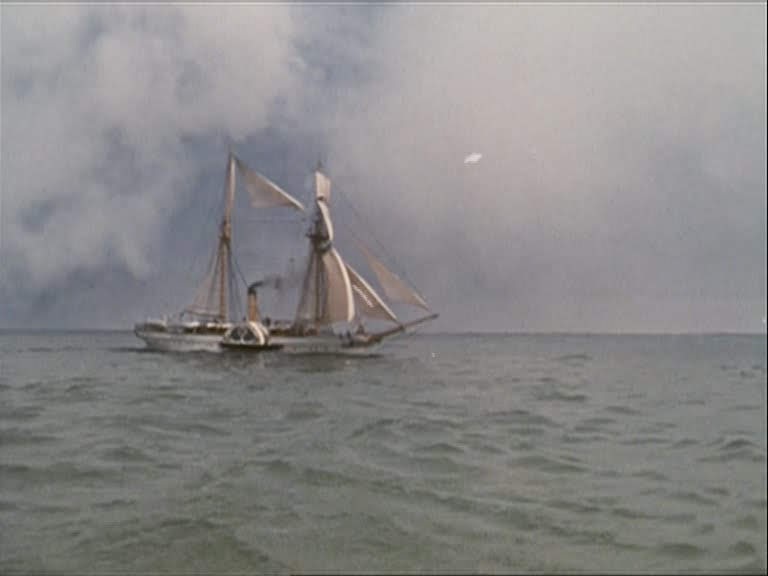 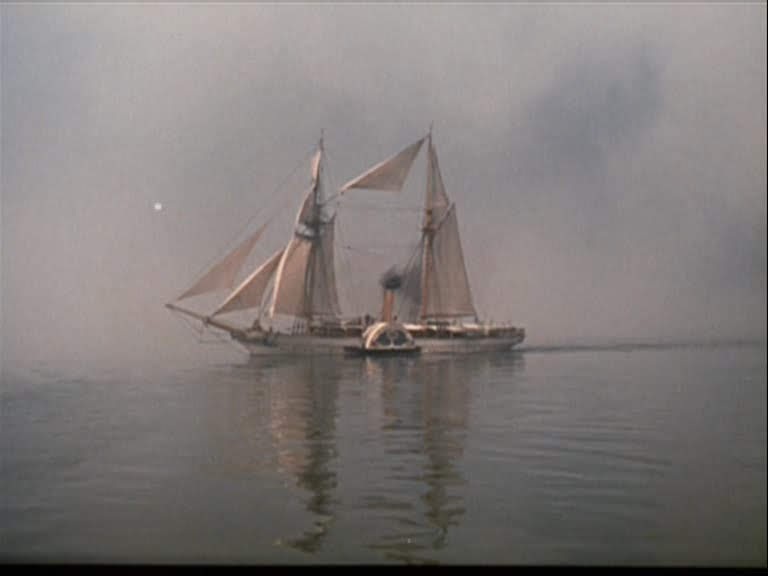 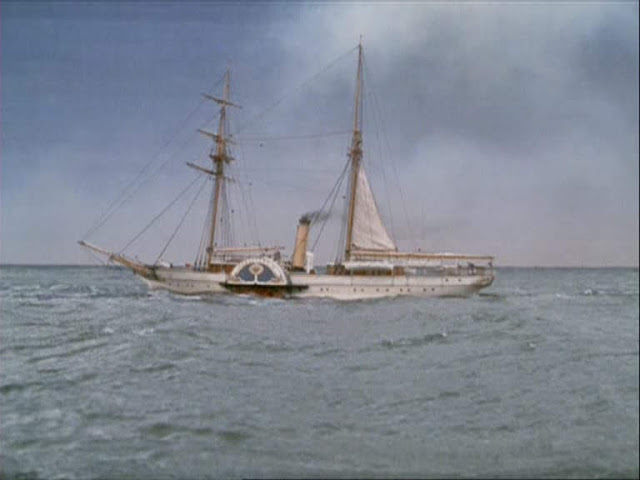 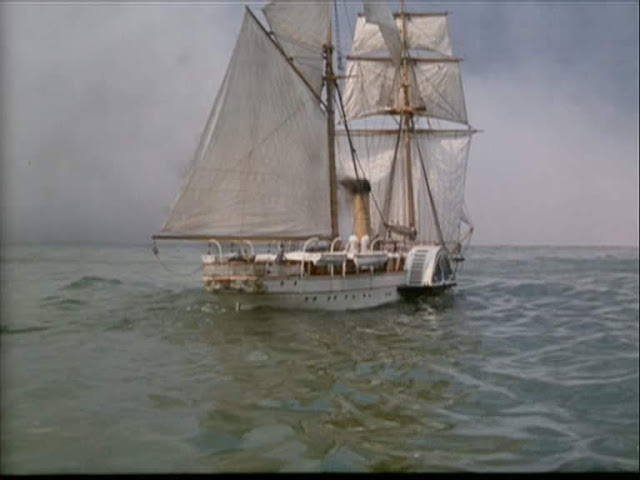 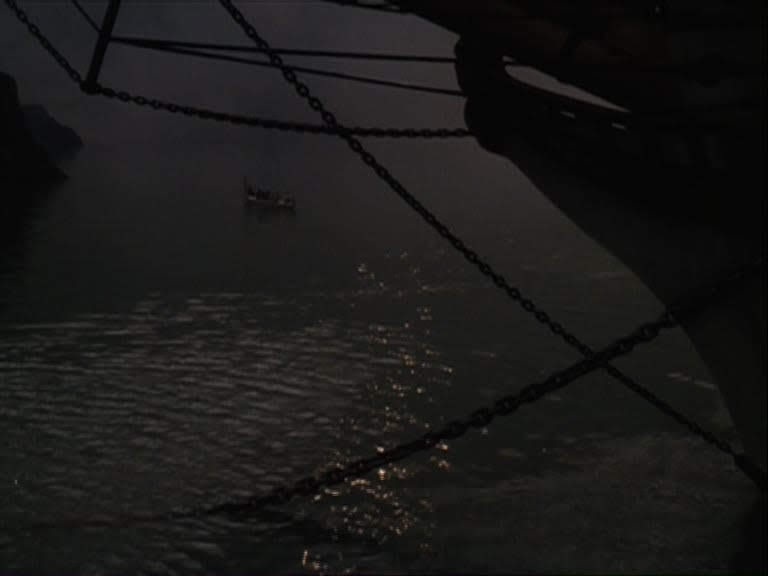 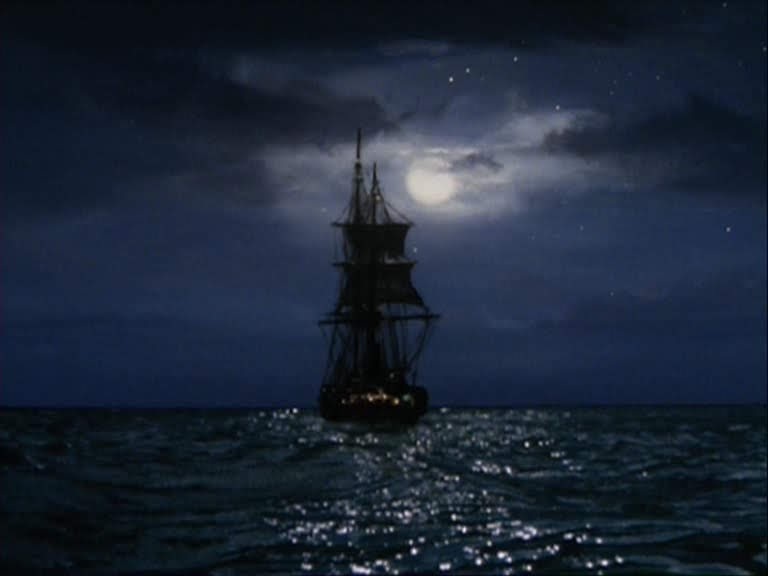 The film also has some model ship scenes which are reasonably effective. The model looks very much like it is the slightly modified and re-painted nitrate ship from Disney's 20,000 Leagues Under the Sea made in 1954. 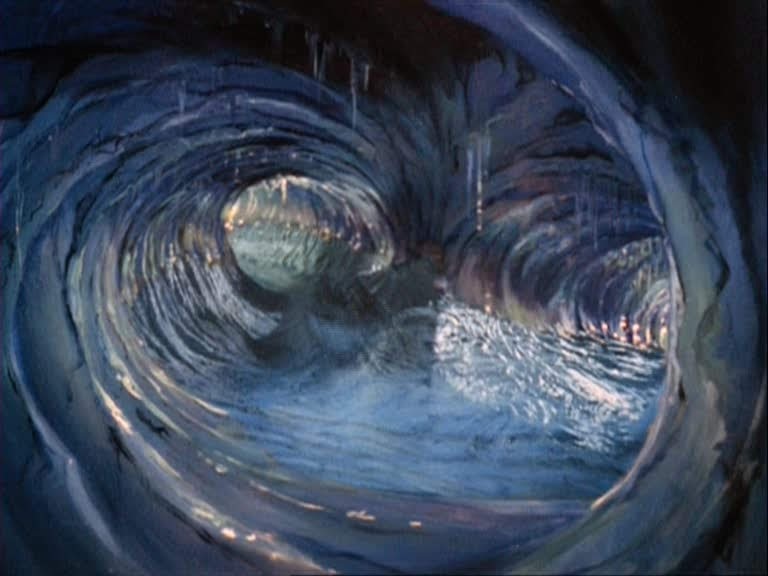 The model in the tank. 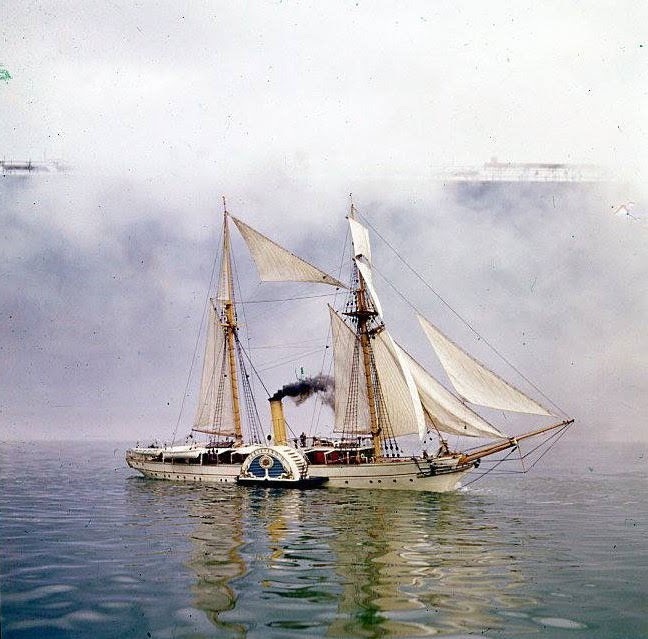 You can see the top of the backing through the mist. 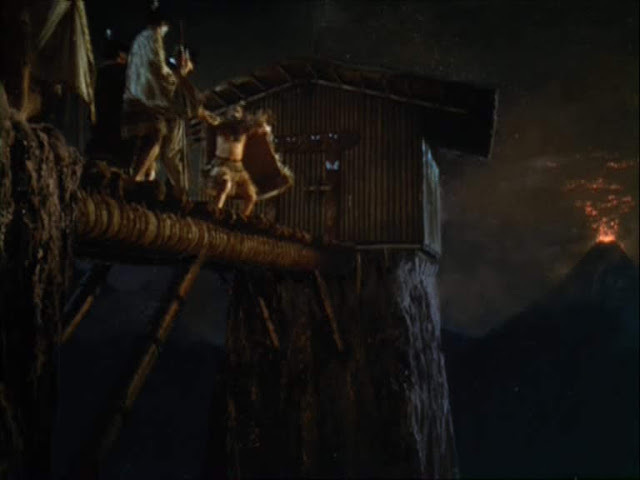 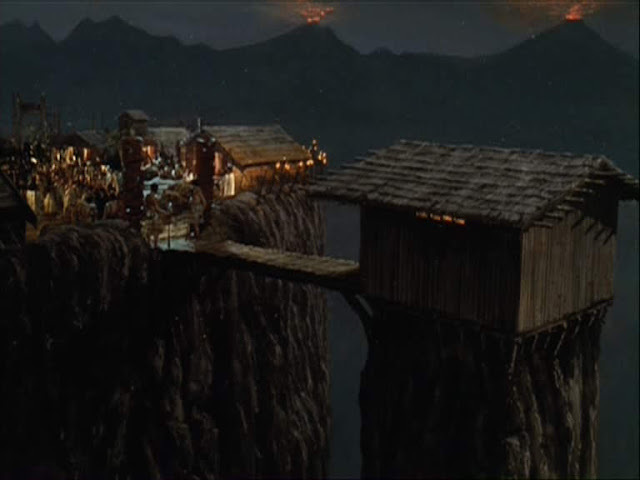 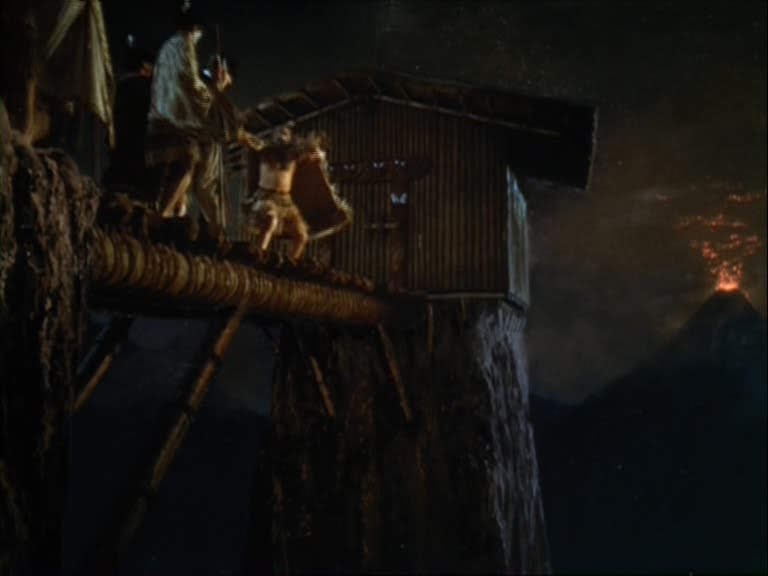 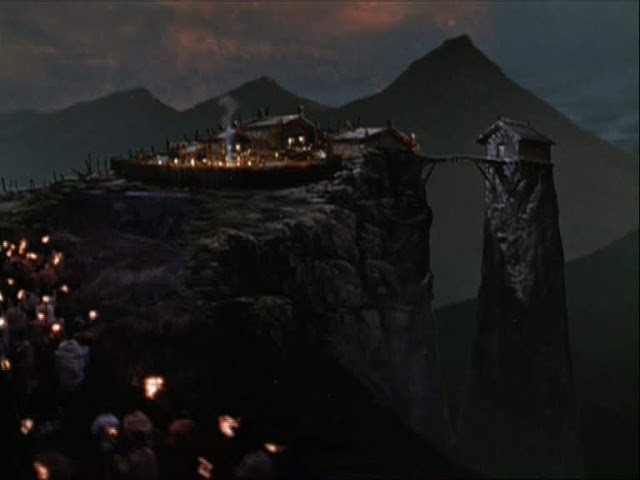 Matte painting above the deck houses, model below. 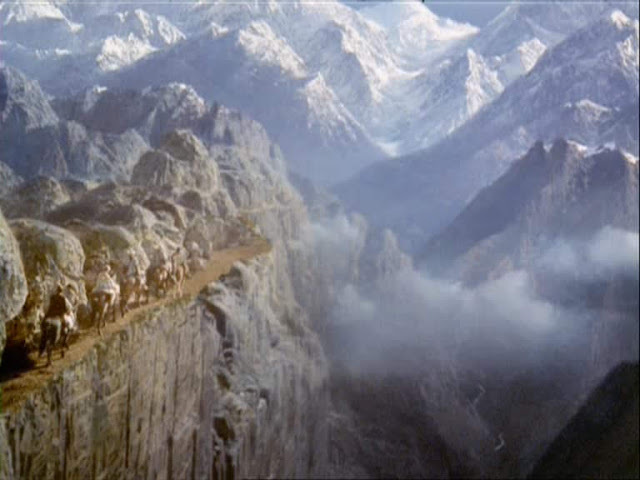 Miniature cliff collapse, foreground painting.